Macropinna microstoma is one of the most complex and complicated castings that we ever did. The strange fluid-filled dome on its head was build up from eye sockets with handmade eyes cast in semi translucent resin, vacuum formed scales at the inner head, cotton fibers to make foggy areas, and a sheet of vacuum formed plastic to mimic an inner jelly layer covering the eye section. 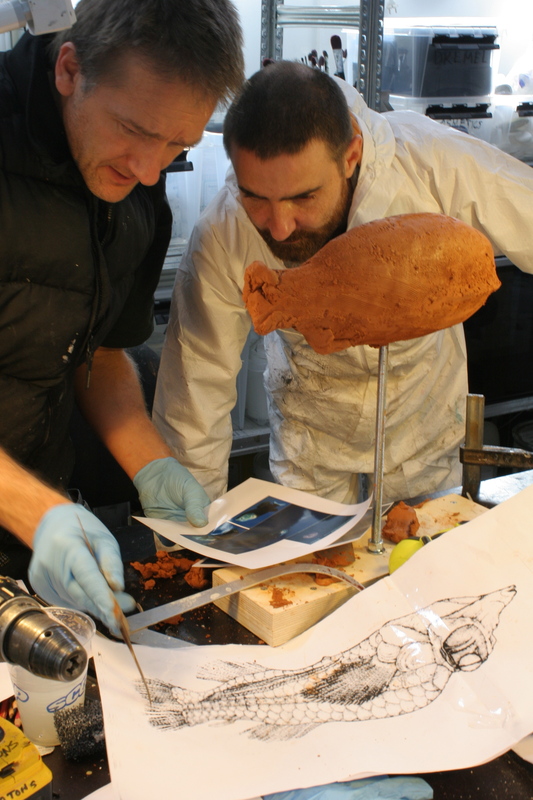 All dressed, painted and placed back in the original mould to make the massive dome from crystal clear resin. The model was perfect in first shot. 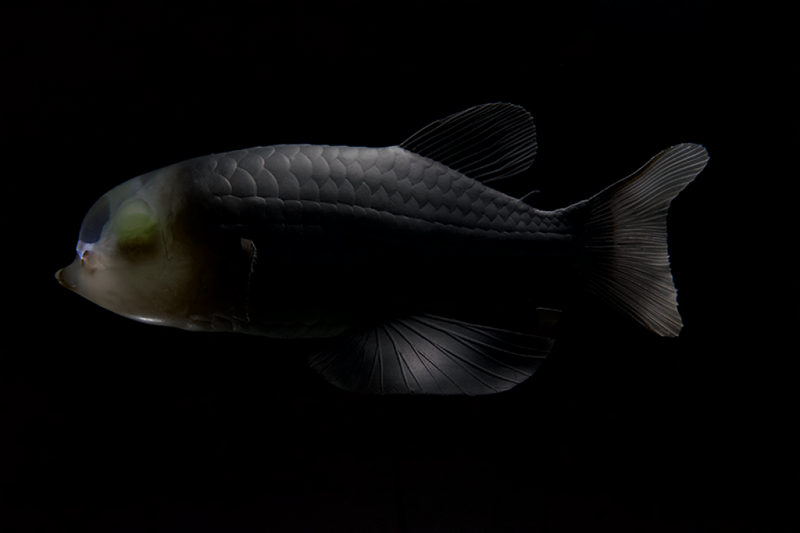 This strangest fish of them all is the only species of fish belonging to the barreleye family, hence its barreleye-shapes eyes. It is recognized for a highly unusual transparent, fluid-filled dome on its head, through which the lenses of its eyes can be seen. 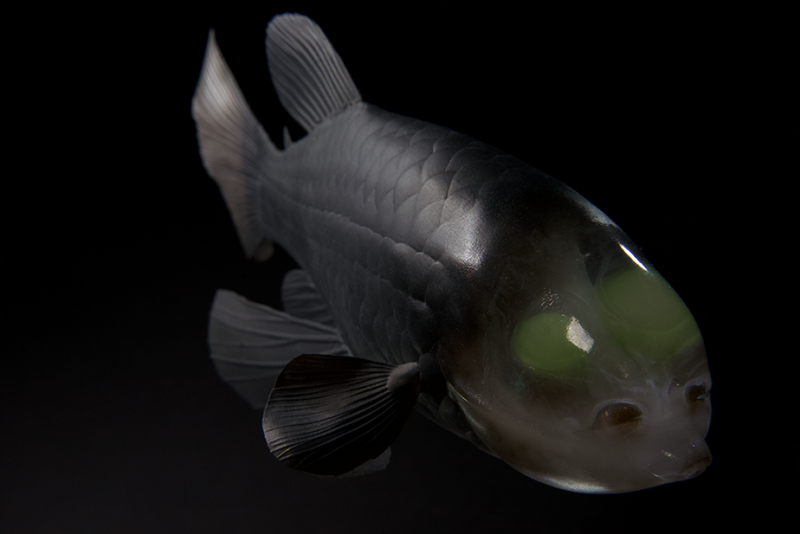 The eyes can be rotated to point either forward or straight up, looking through the fish's transparent dome. M. microstoma has a tiny mouth and most of its body is covered with large scales. The fish normally hangs nearly motionless in the water, at a depth of about 600 metres to 800 metres, using its large fins for stability and with its eyes directed upward. 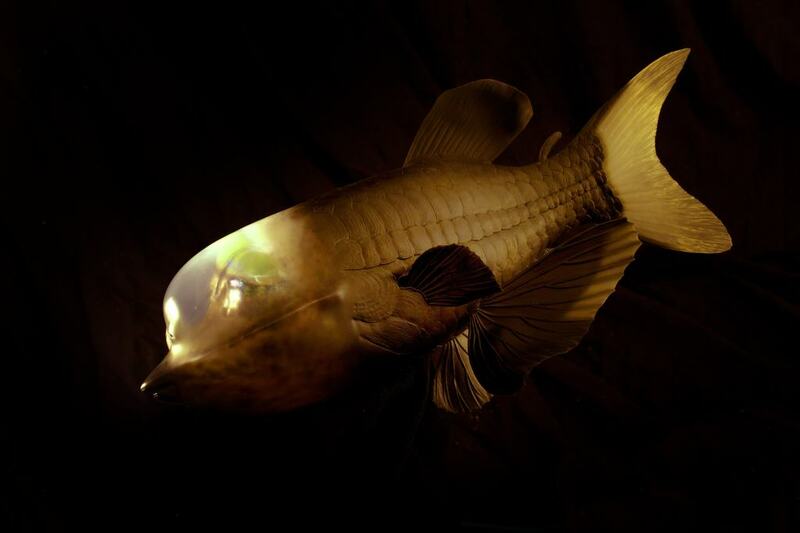 In the low light conditions it is assumed the fish detects prey by its silhouette. 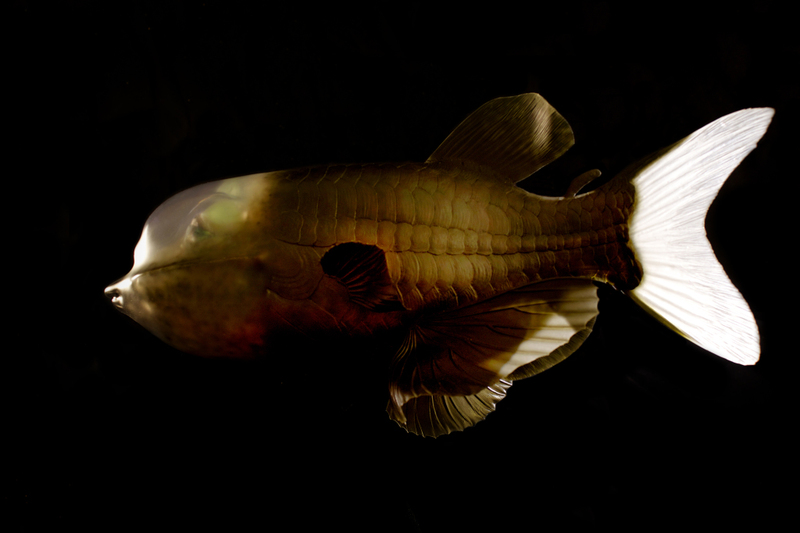 M. microstoma has been known to science since 1939, but is not known to have been photographed alive until 2004. 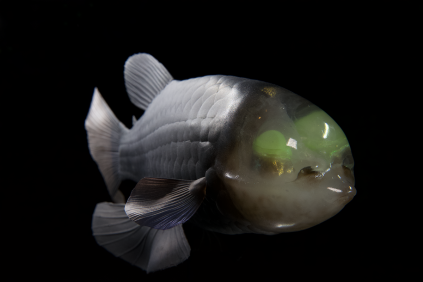 It was not until 2004 that it came clear how the fish had a transparent dome as a head - old drawings didn’t display this feature, as it is usually destroyed when brought up from the depths. Int the 2004 video, scientist could also detect feeding behaviour: When prey such as small fish and jellyfish are spotted, the eyes rotate like binoculars, facing forward as it turns its body from a horizontal to a vertical position to feed.